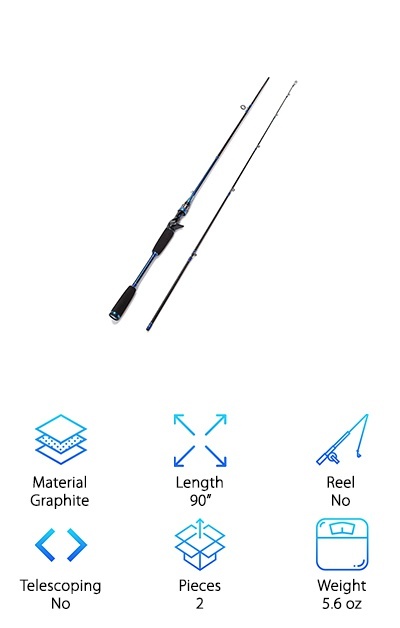 This spinning rod and reel combo from Walsilk is up next in our roundup of top bass fishing rods. 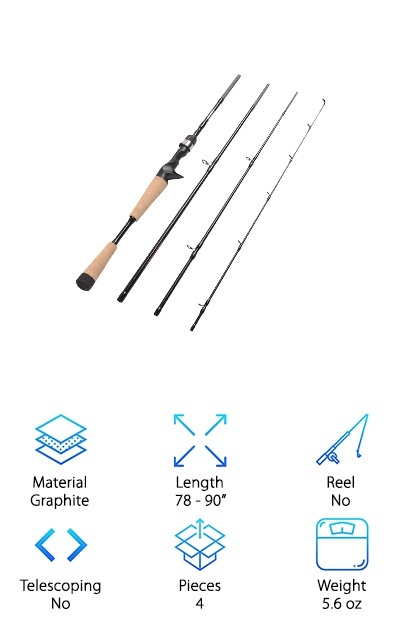 You actually get a lot with this set, including a rod, a reel, fishing line, fishing bad, a mosquito head net, 10 hooks, and even 42 baits. That’s everything you need to get out on the water immediately. 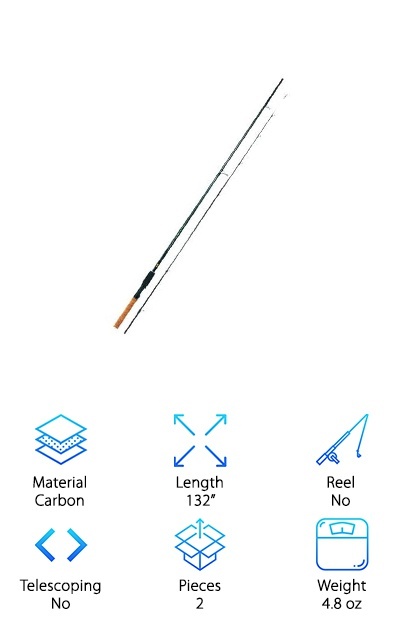 A really unique thing about the rod is that it’s telescoping. This is great because it means you only have one piece to worry about yet it can still be easily collapsed and transported. The carry bag has room for everything. Not only that but it’s waterproof and a great way to carry your fishing gear around when you're heading to or from the water. 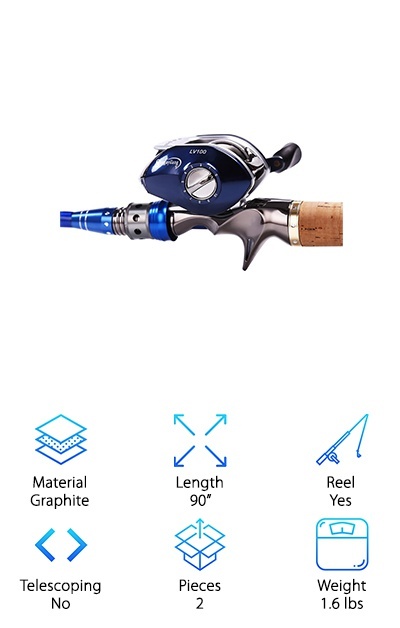 This is a great gift for someone who’s just getting into bass fishing. 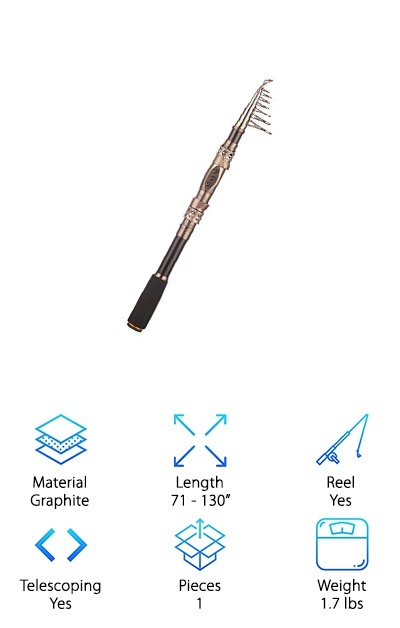 For the best fly rod for the money, look no further than Plusinno. It’s made of a blend of carbon fiber and fiberglass. This is a great combination that adds up to an elastic, dense pole that will last a long time. 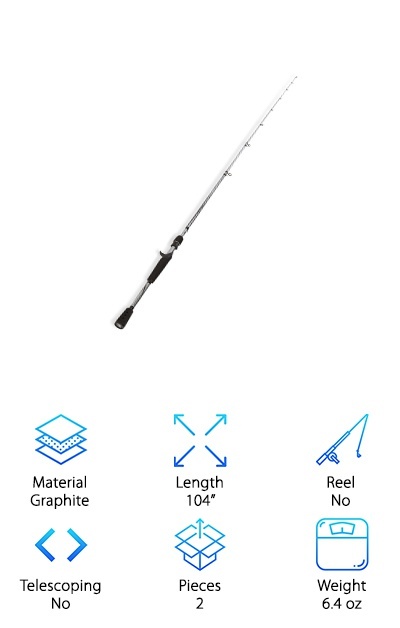 Did we mention it’s telescopic? 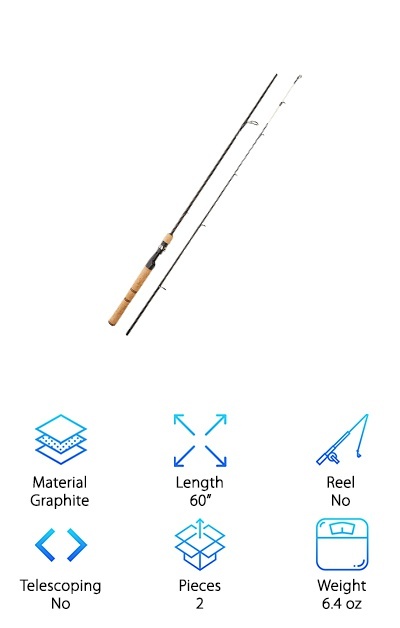 This is a newer technology that lets you collapse the rod for easy storage and transport. That’s not all. The aluminum hooded reel seat protects your reel from any corrosion. Plus, the extended handle has EVA Fore Grip for comfort. 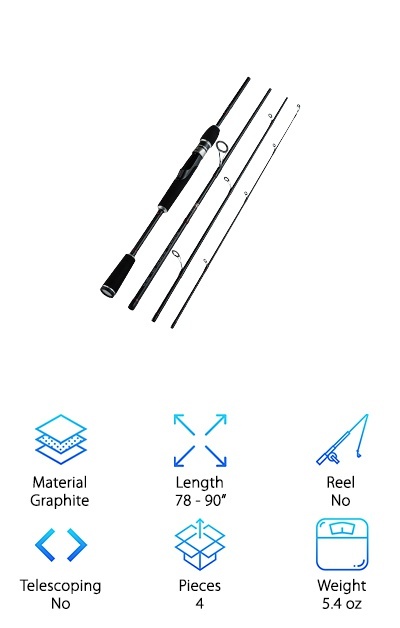 This is also one of the best fly fishing rods for beginners. It’s easy to use plus strong and durable enough to last you a long time. 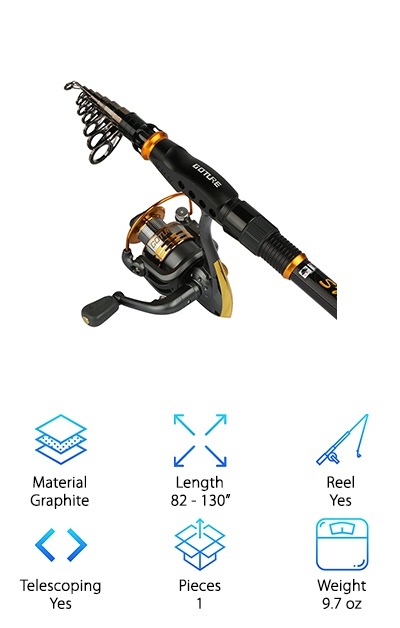 This one comes with a reel, too, that has a reliable aluminum spool. 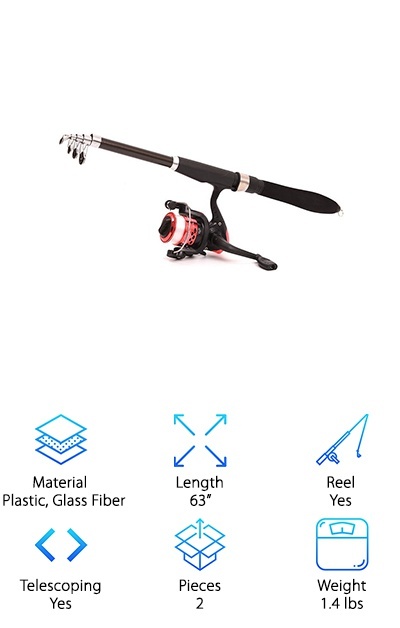 We also really liked how easily you can adjust the reel for left or right handed fishermen.